Virtually every faith tradition teaches stewardship: Out of gratitude and appreciation for what we have been given, we are taught to make wise use of gifts and assets such as financial and natural resources, the time and talents of congregation members, and the house of worship, itself, in ways that are responsible and accountable. • However, like most U.S. commercial buildings, the typical worship facility wastes about 30 percent of the energy for which its congregants pay. No-cost efficiency actions and careful investments can earn substantial savings to be returned to the mission of the congregation. What could your congregation do with funds equivalent to 30 percent of your annual energy bill? Further, while saving money, the pollution related to this wasted energy will be reduced—pollution that impacts human life and health. At the same time, natural resources will be conserved for our children and generations to come. 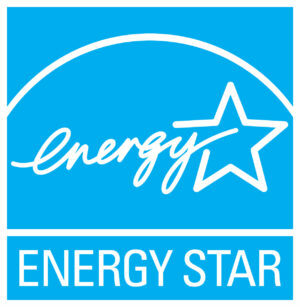 ENERGY STAR is the nation’s voluntary program helping congregations, businesses, schools, homeowners, and tenants save energy and water—and therefore money. Local Pennsylvania faith communities are hosting ENERGY STAR presentations on tools, training, and technical support freely available at www.energystar.gov/congregations. SAVE THE DATE and please Join Interfaith Leaders for the ENERGY STAR® Pennsylvania Stewardship Tour. Everyone is welcome to attend. Presentations are free and reservations are suggested, but not necessary.